Homer Hickam's latest book, Red Helmet, is available now!! Forever unlucky in love, Song Hawkins has the reputation of being a cold-hearted yet beautiful businesswoman. But everything changes when this New Yorker finds the man of her dreams in Cable Jordan, the manager of a West Virginia coal mine. After they marry, it quickly becomes apparent Cable has no intention of leaving his beloved hometown of Highcoal. Reluctant at first, Song is soon swept up in the strange, funny, and always interesting highjinks of the little mining town's quirky citizens. 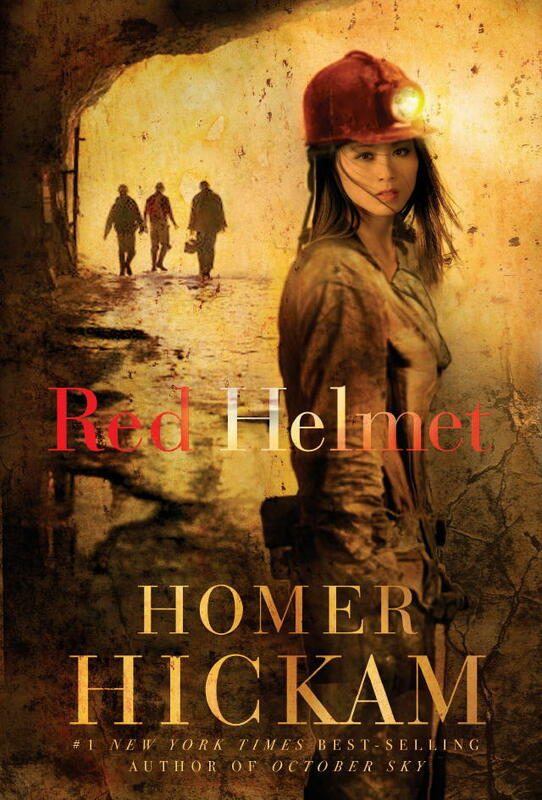 But things turn deadly serious when, to save her husband and her town, she must put on the red helmet of the new coal miner and make a life-changing sacrifice.